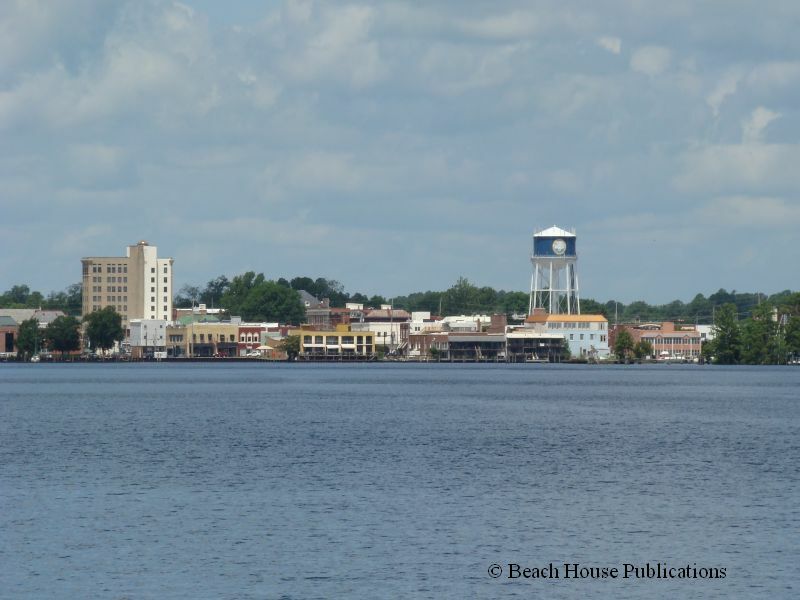 Any boater that has transited the Atlantic Intracoastal Waterway more than once has at least heard of the hospitality offered to boaters in this sleepy North Carolina town perched on the Pasquotank River. Most boaters are also familiar with the tradition of the Rose Buddies, but alas, the Rose Buddies have all passed on and the tradition is all but gone. 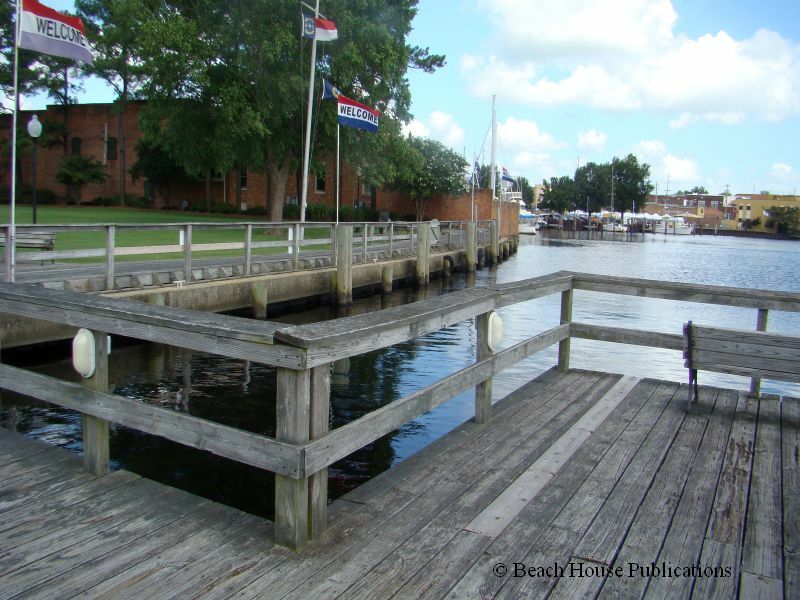 A short detour off the traditional waterway on the Albemarle Sound will bring you to this friendly harbor, and you will still be met at the town docks by a fellow named Gus that has made himself the unofficial greeter, Dockmaster and historian at Mariner's Wharf. 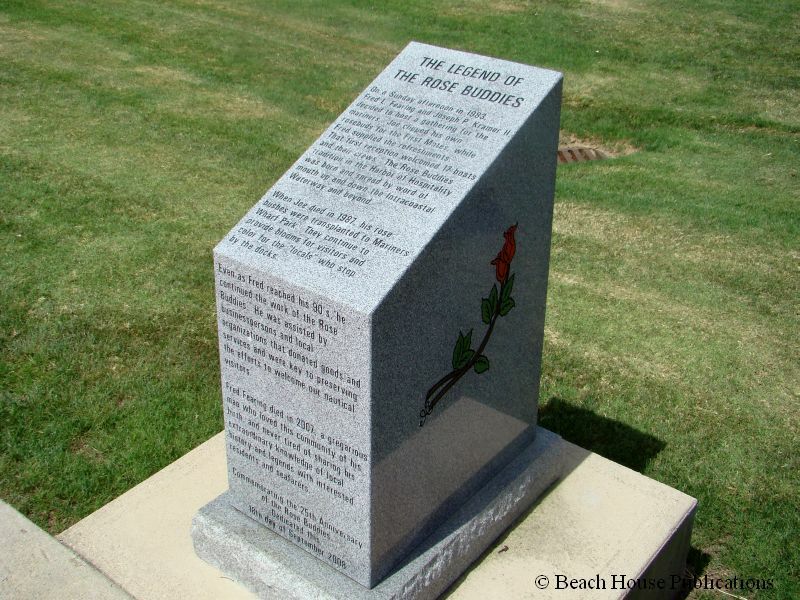 Gus will help you tie up in one of the 14 slips at Mariners Park (page 7, The Great Book Of Anchorages, Norfolk to Key West), give you the latest on the town and direct you to wherever you might need to go. It seems that many boaters don't know that the 14 slips at the park are not the only free facilities offered by the town. Just off to port from the slips at Mariner's Wharf is a long bulkhead at Waterfront Park. The bulkhead is available for tie up also, but neither has power or water. At Mariners Wharf, there is a faucet hook up for a hose under a blue cover just behind the water fountain. There is another bulkhead just on the other side of the bridge, northbound, with a sign that says "Dock and Dine" where boaters can tie if everything else is full. At the Mariner's Wharf slips, the town provides free Wifi; we aren't sure if it is attainable at the other docks. The town has just completed restroom and showers. The restrooms are open to the public during the day and the showers can be accessed through the Visitor Center office near the docks. There is a small fee for the use of the showers. The grocery store and coin laundry is about a mile and a half from the town docks. A taxi or a bike is the best way to resupply or do laundry. The Post Office is about a half mile away. In the downtown area you will find small shops, boutiques, a book store and restaurants. 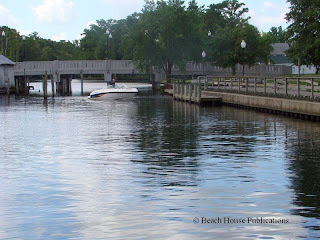 The Cypress Creek Grill is across the street from the docks and is a local favorite. A short walk of a few blocks and you will find Quality Seafood, a restaurant and market. Have a great seafood lunch and buy some fresh fish to take back to the boat. After lunch, stop in the Museum of the Albemarle and experience the history and culture of the Albemarle region either by self or full guided tours. If you happen to be lucky enough, as we were, to be at the docks on a Saturday, you can enjoy the fresh produce, vegetables, baked goods and homemade wares of the open air market from 8:00 AM to 1:00 PM. This is not your average Farmers Market. Elizabeth City holds several Festivals and Events each year. July is full of activities beginning with Mariner's Wharf Film Festival, a Fourth of July Celebration, Music and Arts Festivals, First Friday, and many more, just in July. 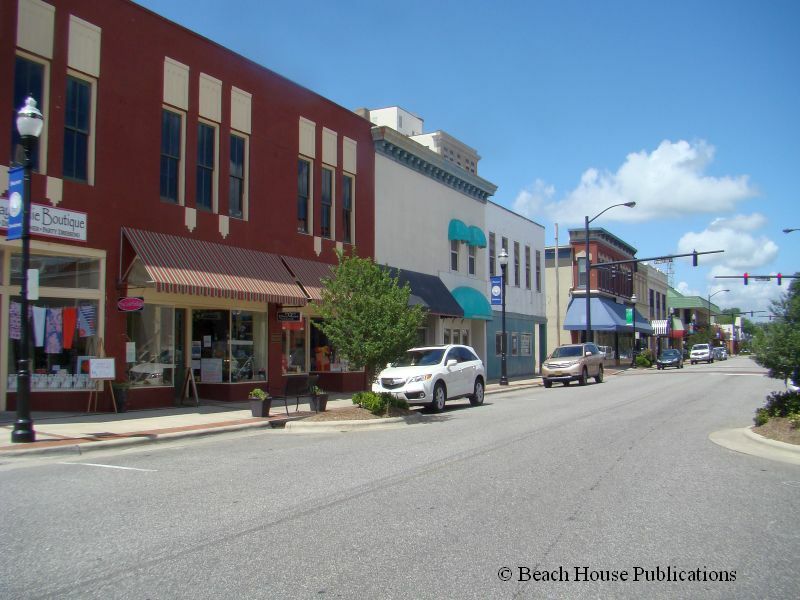 During other months try the Coast Guard Harbor Nights Concert, First Friday Artwalk, Music on the Green with Classic Country Bands, and even a tractor pull. 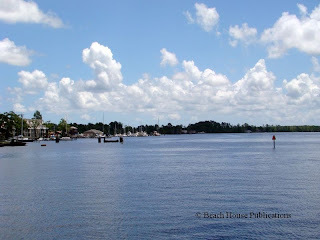 There is so much more to Elizabeth City than free dockage. 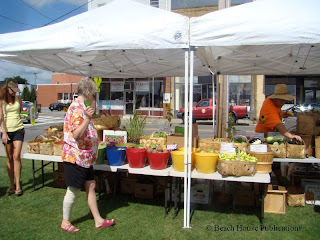 You will meet some of the most friendly people found anywhere along the waterfront. If you are a dog person, this is a very popular place for the local dog-walkers. The dogs are as friendly as their owners. So often someone would stop by the boat and strike up a conversation. We felt like we had lived here for a long time and everyone did their utmost to make us feel welcome. There is a downside, and that is the weather, if it happens to be blowing strongly from the south or southeast. Heavy winds can create a strong surge, and waves coming up the river cannot only make the water levels rise, but make the docks uncomfortable to downright dangerous under severe conditions. This also doesn't appear to be a no-wake zone and boats speeding up and down the river do create a lot of wakes on occasion. A nearby boat ramps adds to the problem. Under strong conditions from the south, the bulkhead on the other side of the bridge or anchoring beyond the bridge would be preferable. There is a boatyard in town with haul-out facilities, but service is very basic. There are no real services for boaters in the area, so major repairs will need to be done elsewhere. The boatyard does have a surveyor onsite. If you might be looking for a marina, there are two in the area. 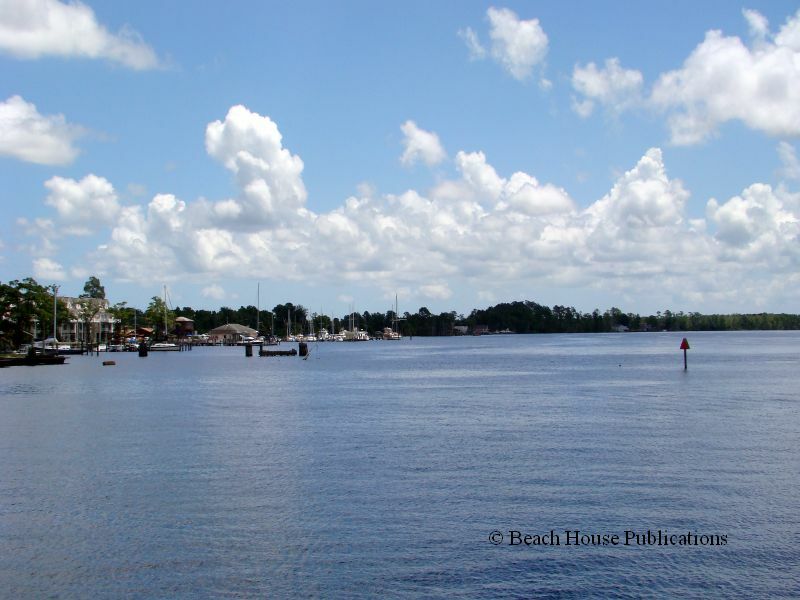 Pelican Marina has dockage with a pump out and a restaurant onsite. It is across the harbor from town. Just a little farther north on the river is Lambs Marina, in a very protected basin. The channel to Lambs has been recently dredged to make access easy. It is some distance from town. There is plenty of space to anchor, but keep in mind that the harbor itself is deep. 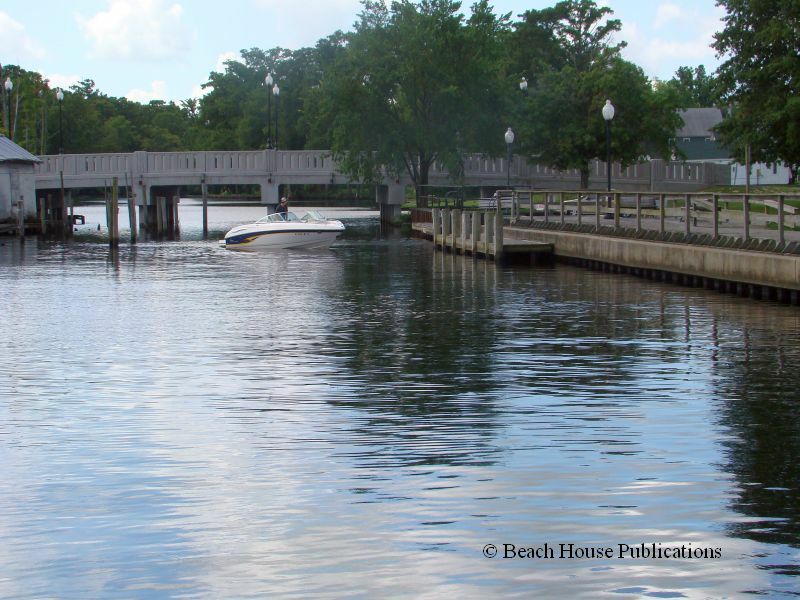 Dinghy access is available at any space along the town bulkheads or at the boat ramp near Waterfront Park, next to the small highway bridge. The Visitor Center offers free loaner bikes to boaters for those long trips for groceries or laundry. The Visitor Center is open Monday through Friday from 9:00 AM to 7:00 PM. The gym in the Waterworks Building offers showers to boaters for a fee of $5.00, if a long hot soak is needed. Gus has a small pick-up truck that is a two-seater, but he will often offer lifts to the store if you might need lots of supplies. Don't be tempted to tie up for the night and move on. 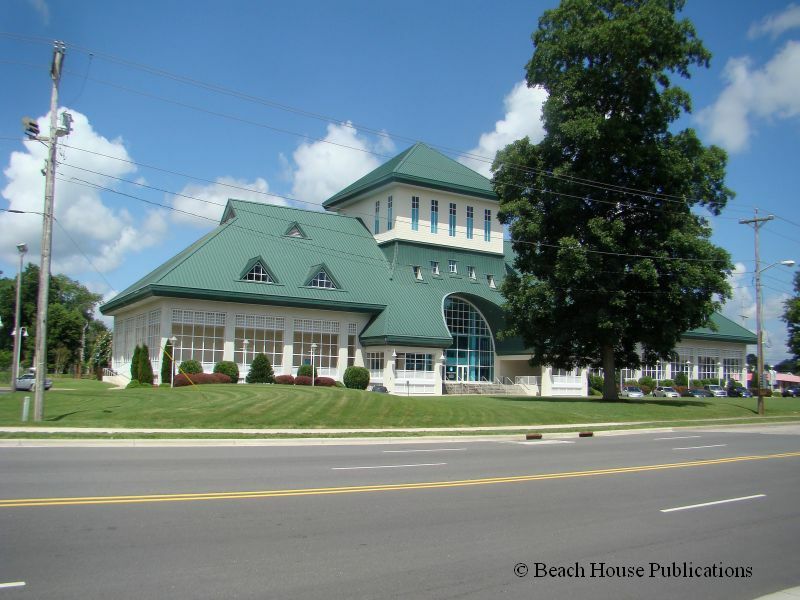 Stay awhile and enjoy true southern hospitality and a town that prides itself in welcoming boaters and cruisers. You won't see 24-hour limit signs on the pilings. 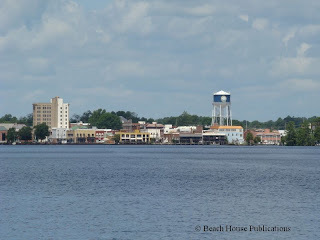 Elizabeth City wants you to come, visit and enjoy. We sure did and we can't wait to go back. 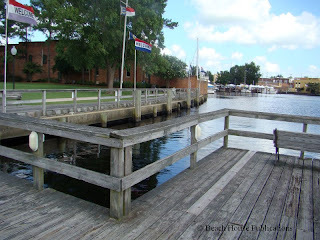 From Elizabeth City, we headed north to explore the Dismal Swamp and all it has to offer. The Great Dismal Swamp Canal And Welcome Center.